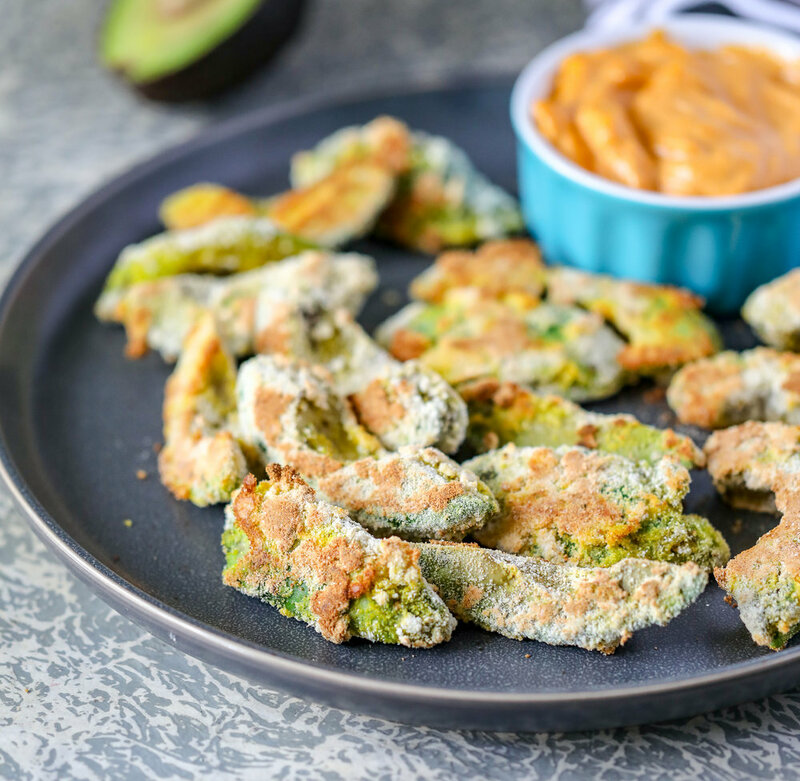 One of my fondest memories of mindbodygreen’s Revitalize (and there are many) are the avocado fries served during lunch. I have been meaning to make them myself for a while now, and finally got around to it! Incorporate as a salad topper, serve on the side, or eat as an appetizer. You can’t go wrong! In a medium bowl, add egg yolks and avocado oil. In a separate bowl, combine coconut flour, sea salt, spices, and black pepper to taste. Cut avocados in half and remove pit. Slice each half into thirds to form “fries” and gently remove skin. Coat avocado strips in egg yolk first, and coat with flour mixture. Lay flat on baking sheet and cook 15-18 minutes until golden brown.